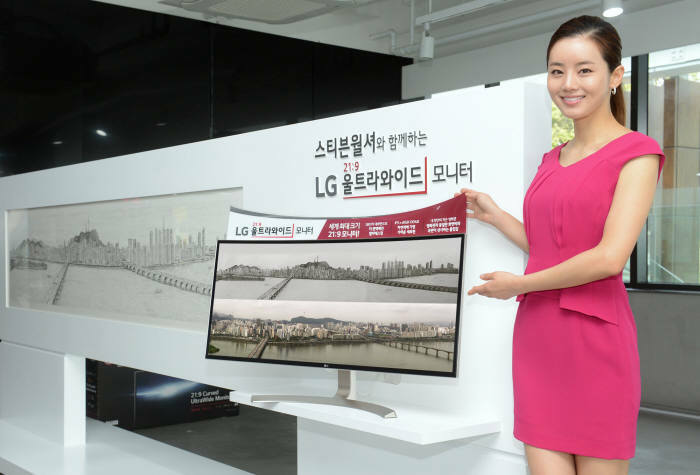 SEOUL, Oct. 18 (Korea Bizwire) – LG Electronics Inc. said Tuesday it has released a ultra-wide computer monitor in South Korea, adding it was the industry’s first company to release a 38-inch monitor. With a 21:9 aspect ratio, it is expected to allow users to better work on multi-screen jobs, LG said in a statement. Users can resize and display multiple windows at once and customize the monitor layout for multi-screen work, it said. The monitor also features a resolution of 3440×1440 pixels, about three times clearer than a full high-definition monitor, according to the statement. 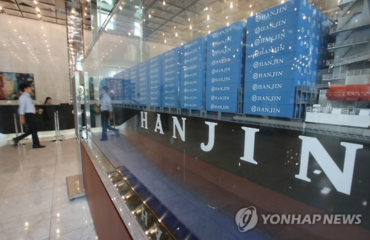 The price for the monitor was set at 1.59 million won (US$1,404). The global market for monitors with a 21:9 aspect ratio grew about 80 percent last year, LG said. 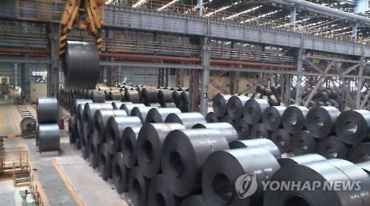 Since 2013, LG has maintained its No. 1 spot in the global market for monitors.